Coping with the Stress of Full-Time Eldercare. One of the many challenges for caregivers of an elderly parent is to find the balance between taking care of yourself and providing your best care to someone else. With our aging population, the reality for most families is that care is provided by middle-aged women who carry the overwhelming responsibility of providing constant care and companionship to someone who cannot live on their own. Their loved one may need help with even the most basic life skills such as dressing, eating and cleaning themselves. The responsibility of providing elder care is similar to caring for a young child. However for most care givers, they are taking on the responsibility of elder care after decades of giving everything they have to raising children. Few plan to take care of their elderly parents; they take it on as an unexpected duty at a time of life when many caregivers thought they would be able to finally focus completely on their own lives. For those who put off careers and interests in order to raise children, elder care adds an additional stress of standing in the way of long-awaited goals. And although providing eldercare may be as constant as attending to a child, it does not carry the same sense of accomplishment. While a parent is rewarded daily by watching their child grow into an adult who will continue to offer companionship and support, an eldercare giver must watch their loved one deteriorate as they require more and more care. Helping with your parents everyday needs such as going to the toilet or even managing something simple as going up the stairs can become increasingly difficult. Tackling these problems of course rests on your shoulders and anything that can alleviate the sense of dread when your parent tries to tackle the stairs with shaky legs is welcome. 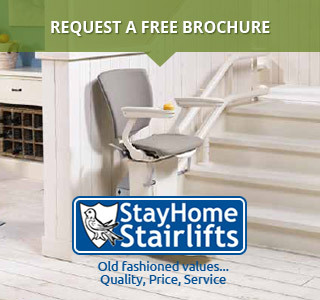 Practical solutions, such as installing a simple stairlift will not only aid your parent’s mobility issues within the house but also ease your already fretful mind from the dangerous combination of a steep staircase and weakened or unsteady legs. Dementia in particular can be very stressful for caregivers as they may receive constant phone calls from the person in their care, panicked over a misunderstood memory or to talk about a conflict that hasn’t occurred. They may get calls at work or during the night from police or neighbours when the parent leaves home and is found wandering. Many care givers of parents with Alzheimer’s or dementia describe a feeling of dread and panic every time their phone rings. With all these responsibilities, the caregiver is often overlooked. Even family members may visit and discuss concern for the elder, but never express appreciation or concern for the caregiver. The time needed to care for someone else’s daily activities can make life very difficult and have a significant impact on the caregiver’s ability to tend to their own needs. Many caregivers feel guilty for the time they spend away from their own children or grandchildren while at the same time feeling that they are not adequate to the enormous challenge of caring for their elderly parent. The emotional and physical strain of being a caregiver can lead to stress-related health problems. For those who suddenly find themselves in the caregiver role there may be a feeling of not having any choice but to care for their loved one. They may even feel grief or a sense of loss for the life of more freedom that they expected to have. Many people ignore these feelings or feel bad for having them, believing that they are selfish and that a good person would be more positive about caring for a parent. But caregivers need to be fair to themselves. It’s important to recognize and acknowledge these feelings as being legitimate and reasonable. Watch out for the common warning signs of caregiver burnout. Depression, feeling overwhelmed or out of control, or feeling lonely and isolated are all signs that you need to give yourself a break. Take care of your own needs and find time for yourself. Neglecting your own personal needs can eventually lead to stress-related disorders like high blood pressure, memory problems, insomnia or overuse of medications, alcohol or caffeine. These are all signs that you are needing to take a step back and find ways to focus on your own needs. Caregivers need to remind themselves that when you work too hard caring for others, you risk neglecting yourself and burning out. Eventually you may become too depressed, fatigued or burned out to be able to cheerfully care for your loved ones. It is essential that caregivers make time for themselves, for their own interests and goals as well as their own self-care, every single day. Build respite into your routine. Throughout the day, take half hour breaks to exercise, have coffee with a friend or relax and read a book. Every week do something special that is new to you or builds a skill so that you can continue to experience personal growth and the positive energy that comes with self-development and learning. If the elderly person requires round the clock care, seek out and accept help wherever you can. Don’t fall into the trap of believing that you are the only one who can or will help your loved one. Call on other relatives to provide help. Many will offer help but not actually schedule it. When it’s offered, take charge of the conversation and ask for commitments. If your brother says “Sure, I’ll help whenever you want”, respond with “Good, I’m hoping that you can spend the afternoon with her every second Saturday so I can do my errands!” and then connect with other family members for similar commitments. A little can go a long way with this type of scheduling. If four family members each commit to only one afternoon every two weeks, that will leave you with two afternoons a week for respite and still not be an onerous commitment for the other family members. In fact, most family members would find it difficult refuse that level of commitment while one person is burdened with daily care. Caring for an elderly person can also be a difficult financial commitment. Loss of wages, food costs and medical supplies can all be hard on the budget. For caregivers on a limited income, the unexpected financial commitment is often a new source of stress. Don’t hesitate to ask for financial help from other family members. Providing full time care can be both an isolating and an emotional experience. If you are married, the constant interruption to care for an ailing parent may add tension to the marriage. Even the most supportive spouses may become resentful or have difficulty coping with the idea that they are sharing you with someone else. You may find that you spend more time talking to an aged adult than to your own peers, and feel stressed by hearing repeated stories while wanting to get out in the world and have new experiences. Many caregivers have difficulty with loneliness and need opportunities to meet other people. Keeping a positive attitude can be especially hard when there is a strong emotional history with the person who needs care. Perhaps you are caring for a mother who was sometimes overly critical or did not provide the best care to you during your childhood. Or perhaps you care for a mother-in-law who never approved of you. It takes a lot of strength to be cheery and provide for a person when these kinds of emotional barriers exist. Make an effort to socialise outside of the home, calling on friends and other family members for conversation. Try to spend time with the people who make you feel good about yourself to offset any negativity that you may be feeling at home. Joining a support group for caregivers is a great way to connect with people who understand what you are going through. Groups provide services and education for Alzheimer’s, Parkinson’s, Multiple Sclerosis, dementia, and most other diseases. Most of these groups will have support groups for their care givers. Check their websites to find information about support group meetings near you. The caregivers who join support groups often find that they have a lot in common with other members, help each other in providing care and respite, and form lasting friendships long after their care giving role has ended. It is very important that you set reasonable limits for yourself. Be realistic on how much you are willing to do. For example, if you help to maintain a parent’s home and they have a large and elaborate garden that they worked on every day, it is not reasonable to expect that you will continue to maintain it to the same standard. Consider hiring people to provide these types of services, if that is affordable in your situation. Otherwise, give yourself permission to let some things go. Despite the help offered by community and family resources, the primary caregiver is often under a lot of stress from coordinating and communicating with everyone. In addition to providing for the day to day needs of an elderly person, a caregiver also becomes their advocate. With no prior experience in health care, it can be very stressful to try and navigate all the medical information, therapy sessions, nutritional needs and treatment plans to make the best choices for your loved one. Whenever possible, get professional guidance to help you understand your choices. Nutritionists can help you plan meals for someone that has difficulty eating or a low appetite. An occupational therapist can recommend changes to your home or special tools that help overcome mobility impairments, reducing the amount of care needed. They may also be able to help you with funding for any special medical equipment. Consulting with knowledgeable professionals can set your mind at ease, adding validation to any decisions that you need to make. An excellent article from Purdue University on How to Manage Stress when Caring for Elderly Relatives, contains the causes and symptoms of stress and how to deal with it properly. 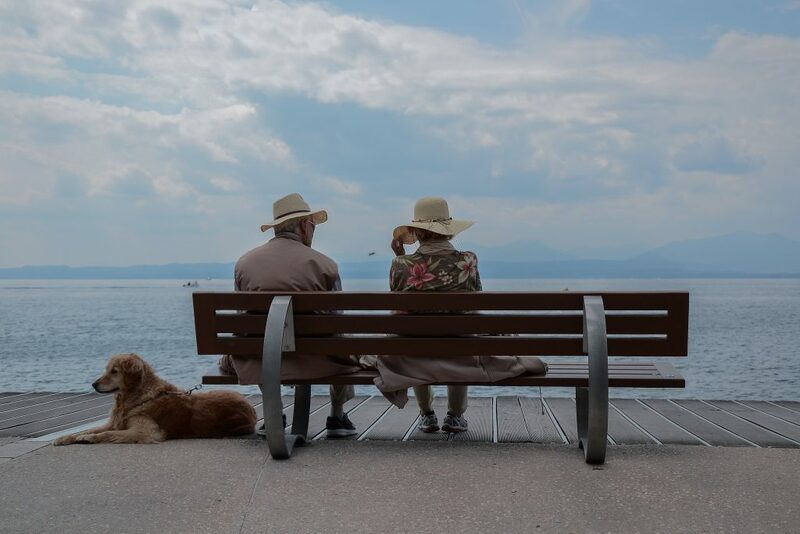 5 really useful tips for handling the stresses of aging parents, from sharing the workload to Knowing What You Can and Can’t Change, there will be something helpful here. 10 signs of caregiver stress, if you know what you’re looking for, symptom wise, then the easier it is to prevent stress, before it really buckles you. This article lists the 7 most at risk groups of stress in elderly carers, these range from caring for a spouse to having young children.